Yay! We’re starting off 2018 sewing pants! 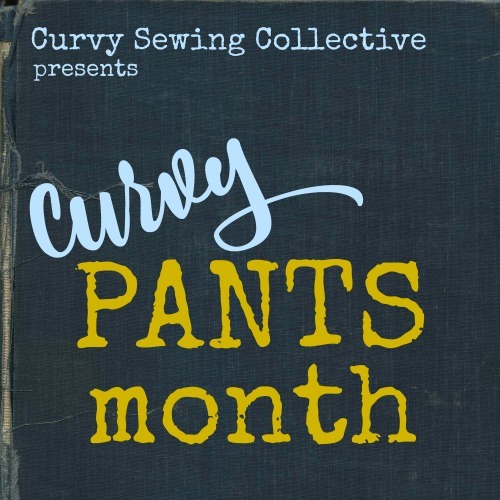 Our first sewing prompt for the #CurvyYearofSewing is JEANS AND TROUSERS. To help you with your pants making endeavors, we’ve picked out three curve friendly sewing patterns as suggestions. These patterns are not required to participate in this challenge, as you can choose whichever pattern that suits you. A classic jean pattern designed for curves with a choice of apple or pear fit and a skinny or straight leg. Sizes 12 – 28 (up to waist 48″ and hip 58″/59″). A slim pull-on pant with an elastic waist. Sizes 4-30 (up to waist 50.5″ and hip 61″). This pattern is also free when you sign up for the Style Arc newsletter. A retro wide leg 1940’s inspired trouser. Sizes 10-28W (up to waist 44″ and hip 52″). Although we are focused mainly on sewing for women, we are going to try to include a men’s pattern for each theme of this challenge. For this category we’ve chosen the Hot Patterns’ Mr. H.P. Straight-Talking Straight Leg Jean which goes up to a 50″ waist. To help out with your jeans making, Cashmerette Patterns has generously offered our participants 15% off the Ames Jean pattern and Ames Jeans Notions Kits (code: CSCAMES) valid at checkout through midnight EST on 1/31/18. In addition to a discount on the Ames Jeans pattern, Cashmerette is also offering 30% off the Jeans Making for Curves class (code: SEWJEANS), valid through midnight EST on 1/31/18. Emma One Sock is sponsoring the Jan/Feb prize with a $50 gift certificate. 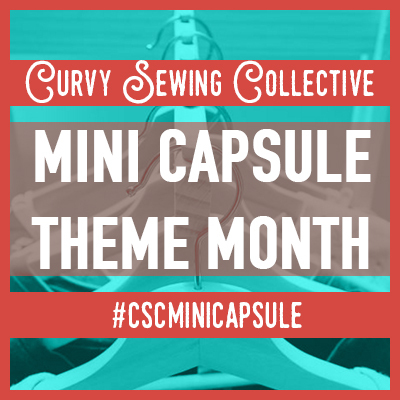 The prize will be given to a participant who sews a Jeans or Trousers pattern and shares it on Instagram or in our CSC Community Group on Facebook with the hashtag #CurvyYearofSewing before 3/1/18. The winner will be randomly chosen. Very inspired to join the jeans sewalong—I have the Ames jeans pattern and recently purchased fabric at Emma One Sock. This may be the incentive I need, once I clear the holiday cheer and settle in for winter sewing. I look forward to following along and trying my own interpretation of the pattern. Yessssss! I’ve been thinking about trying to make pants for a while now, and especially since the Ames Jeans came out. I ordered denim on boxing day with the intent of buying the pattern when it arrived. 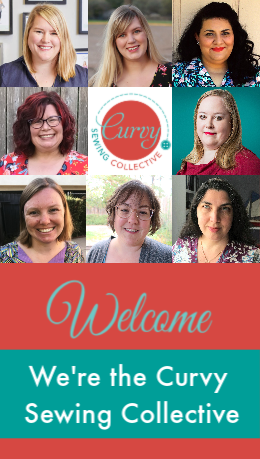 The fabric got here today and this discount code is just icing on the cake! January’s priority is a pair of jeans. This is just another added incentive to get this finished. Now to psych myself up to cut out the pattern. You give the size 28W as a 44 waist and 52 hip but I recently received a pattern giving a size 24 with a 48 waist and a 54 hip. I wish pattern designers would have a consistent sizing policy because while the 24 size pattern fits (though with a couple of inches of ease added because they were a fitted design) the 28W would be too small. Yet both designs are for trousers. Pattern companies have different size charts. It’s always best to check the measurements. I love denim and the old fashioned high waist jeans styles but I hate the low waist. I have lost my waist and my full bottom is not meant to fit in jeans. The front sags under my stomach and there is a definite plumbers back which I hate. Neither can I alter my RTW jeans if I get them in a larger size to fit my bum.I really need to know how to adjust my jeans patterns. Since there are so many little pieces, I dread trying to figure it out. I am going to experiment on the high waist trousers and let you know how it is working. Ahh, this may just be the push I’ve needed — thank you! I’ve been eyeing off the Tessa jeans over at Seamwork …here: http://bit.ly/2m9zS5D but I’ve never worked with denim before and well, it’s quite daunting to do something new by myself. BUT a deadline and knowing others are making jeans & trousers too it actually rather comforting and hopefully I will make super comfy jeans as a reward!! Now to find some denim fabric!